Sally The Hound was our house guest for the weekend. We brined our bird, as we have since 2008. See the link at the right for November 2008 to see the recipe, brining method and the way we roast a turkey. First, as always, we salute the bird. 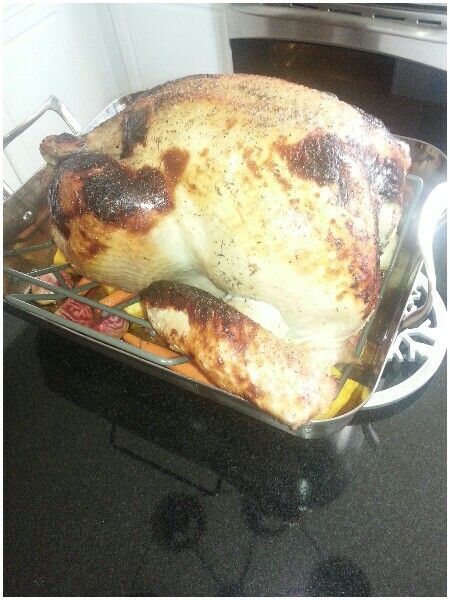 After a half-hour of roasting at a super high temp, the bird looks like this, and we reduce to cooking temp. Cody made the Stuffin' Muffins. 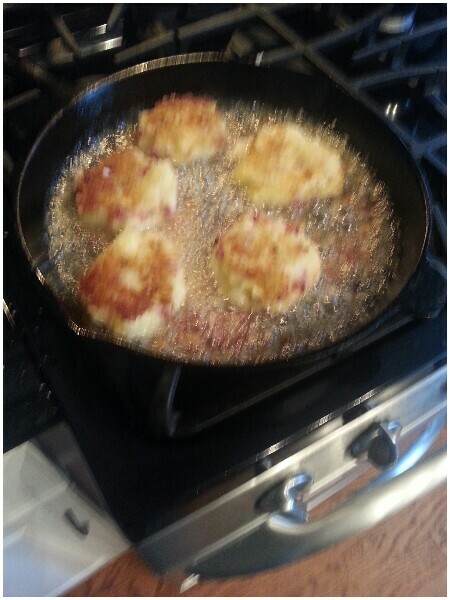 ...to put in the bacon/cheddar fried mashed potatoes. Those were an abject failure (see picture below), which was evident from the first batch, which left us with simple fried potatoes. The simple mashed potatoes were actually quite good. We always have roasted root vegetables which we chop up into large chunks and roast underneath the bird. 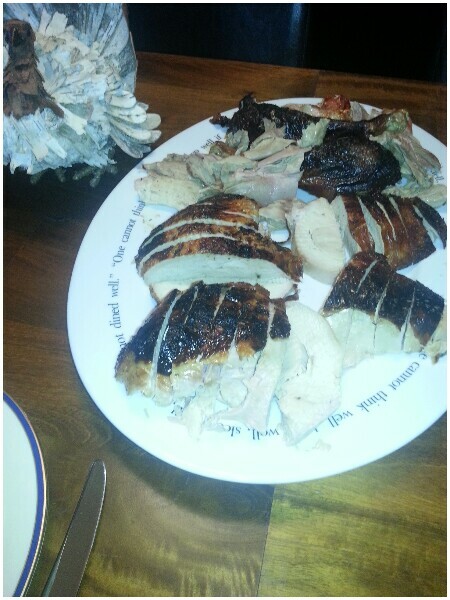 Here is what the turkey and roasted veggies looked like when they were done. Voila, dinner is served: turkey, mashed potatoes, roasted root vegetables, stuffin' muffins, turkey gravy. Leftovers becamse baked rigatoni in a bechamel sauce with turkey, peas, fontina and parmesan cheeses. We had five pans so we took these over to the local homeless shelter (Hesed House). Out Thanksgiving was wonderful. We hope you were able to spend the time with people you love, eating food you like, and enjoying your time.